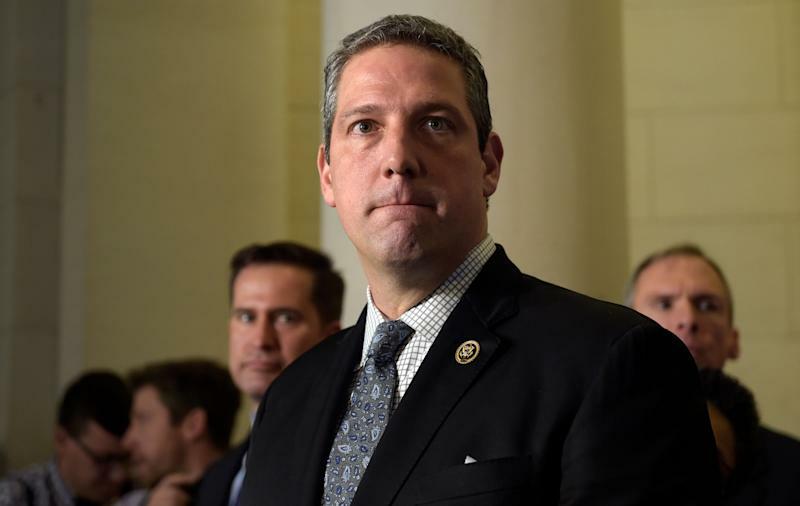 Rep. Tim Ryan (D-OH) says he’s “pissed” about President Trump’s tweets about the GM plant in Lordstown, Ohio. The plant is located in Ryan’s district. In a series of Tweets Monday morning and over the weekend, Trump blasted the automaker for ending production at its Lordstown plant. President Trump also called out the local union leader, David Green, telling him to “get his act together and produce” in a tweet. Last month, Ryan brought Green to the State of the Union address as his guest. “To have the most powerful man in the country, in the world, kick that guy in teeth -- I think says everything you need to know about President Trump,” Ryan said in an interview with Yahoo Finance. “[Green] is just a guy doing his job and to be treated this way by the most powerful guy in the world is just bush league,” said Ryan. Thousands of workers have lost their jobs as GM eliminated shifts at the plant over the past two years. The automaker shut down production in Lordstown earlier this month, when the last Chevy Cruze rolled off the assembly line. The president also tweeted that he spoke with GM CEO Mary Barra, urging her to sell the plant or “do something quickly.” Trump said Barra blamed the United Auto Workers union. GM did not give details about Barra’s conversation with the president to Yahoo Finance. “To be clear, under the terms of the UAW-GM National Agreement, the ultimate future of the unallocated plants will be resolved between GM and the UAW. We remain open to talking with all affected stakeholders, but our main focus remains on our employees and offering them jobs in our plants where we have growth opportunities. We have now placed over 1,000 employees from our unallocated plants to other GM locations, and we have opportunities available for virtually all impacted employees,” the company said in a statement. In a statement, the United Auto Workers union said it will “leave no stone unturned” to keep GM plants open. Though Trump’s tweets has put the Lordstown plant in the national spotlight again, Ryan argues the president isn’t actually helping the situation. Sen. Sherrod Brown (D-OH) called Trump’s comments about Green “disgraceful” and urged Barra to clarify what she said to the president. “Local 1112 President Dave Green has done nothing but fight for workers in Lordstown, while the president has made lots of big promises and failed to stand up for workers at every turn,” said Brown. Brown and Sen. Rob Portman (R-OH) have both pressed GM to produce another type of vehicle in the Lordstown factory. “Rob will continue to press GM executives to recommit to Lordstown, do the right thing by these workers who have given so much to this company, and bring new production to this plant,” said Portman spokesperson Emily Benavides. Ryan told Yahoo Finance he would like GM to produce a truck in the Lordstown facility as an immediate solution, but long-term, he’d like to see an electric vehicle produced there. Ryan has pushed to fund the Department of Energy’s Domestic Manufacturing Conversion Grant Program — which he says would help retool factories, like the one in Lordstown, to produce electric cars. Ryan said he has not spoken to Trump about his recent tweets.